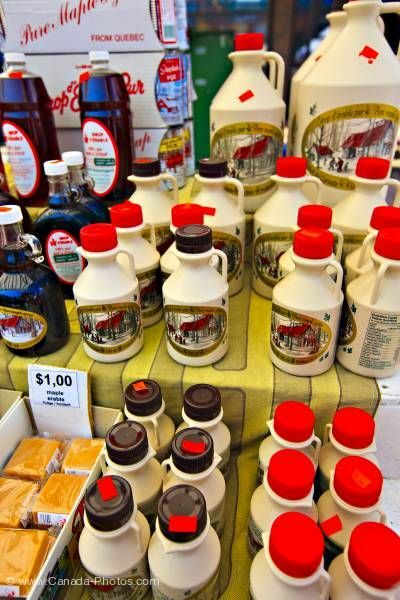 Photo of delicious maple syrup products displayed at the Byward Market, City of Ottawa, Ontario, Canada. Fresh maple syrup is displayed on a table in different attractive containers to entice the shoppers at the Byward Market in the City of Ottawa. Some of the containers are clear glass and some are white containers with handles and colourful caps. Winter scenery makes for an attractive label for the maple syrup.